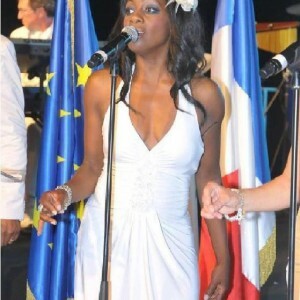 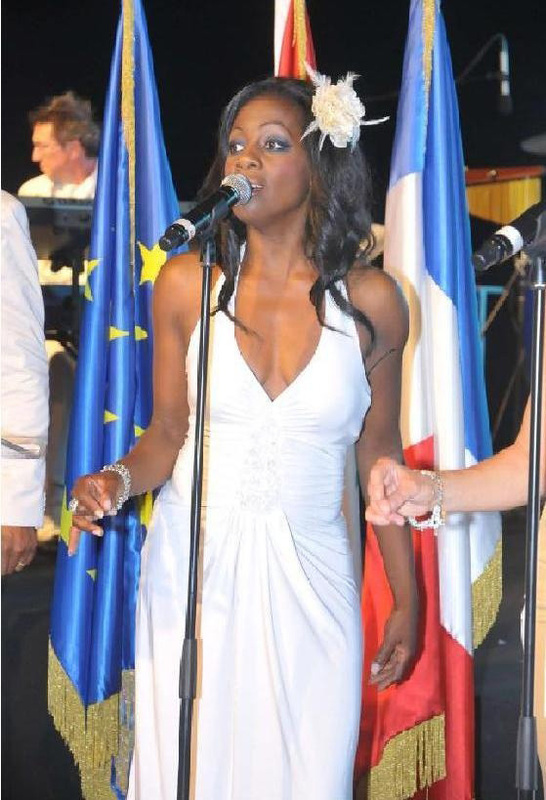 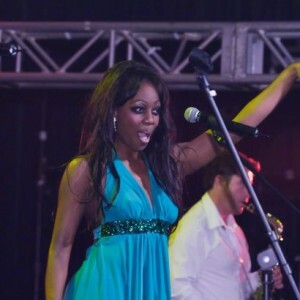 Angela Brooks is one of the lead singers of Sway Allstars Orchestra. 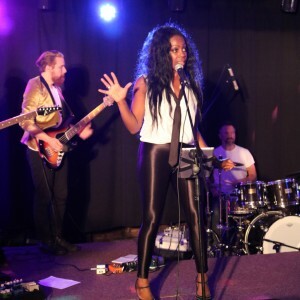 A stunning vocalist with a full repertoire of songs, who has played all over the world, either with Sway Allstars or in the mainstream music industry. 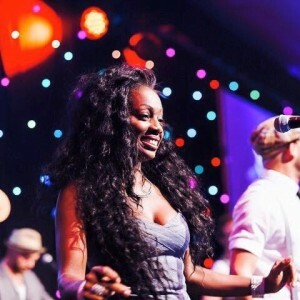 Angela was born and bred in London and came from a musical family; her brother Trevor Murrell was the drummer in Wham! 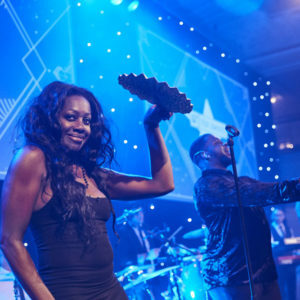 and played for The Bee Gees, Chaka Khan, Tina Turner, James Brown & Chic. 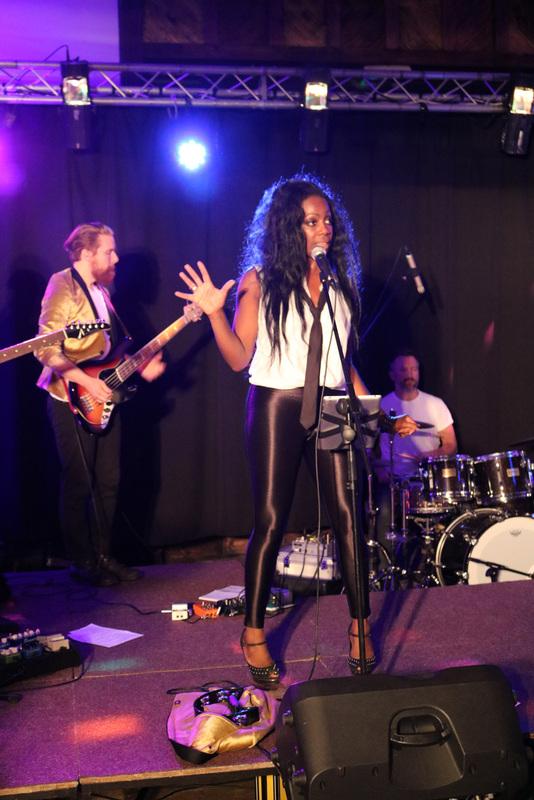 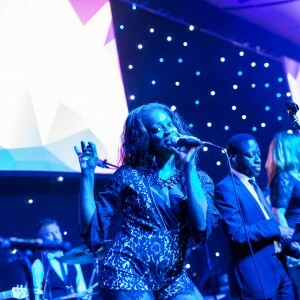 Before joining us Angela was a well established singer on the London scene having performed at the Jazz Cafe, The Astoria and the Marquee Club. 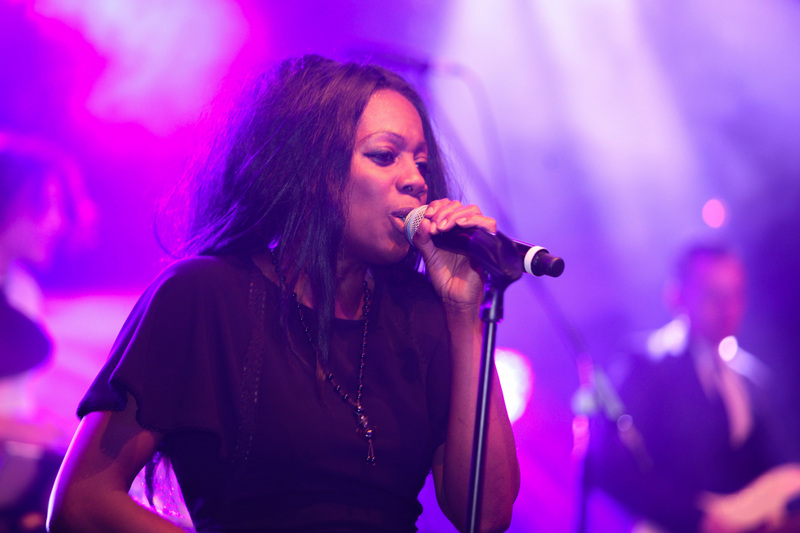 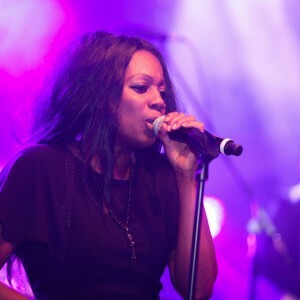 Angela has toured with The Cure, Lisa Stansfield and D:Influence. 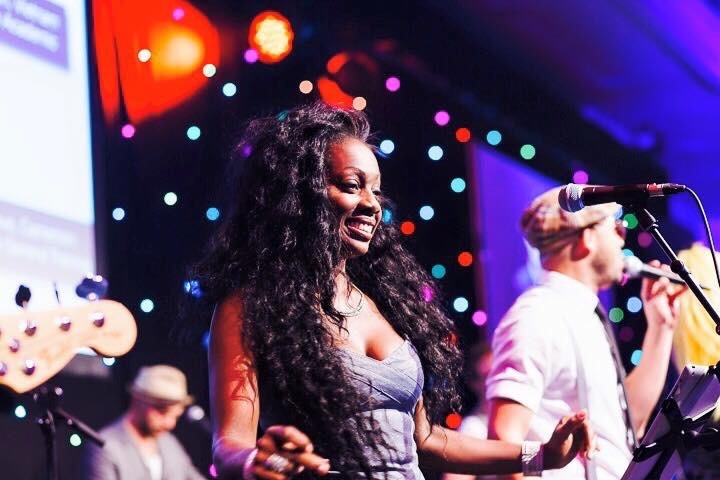 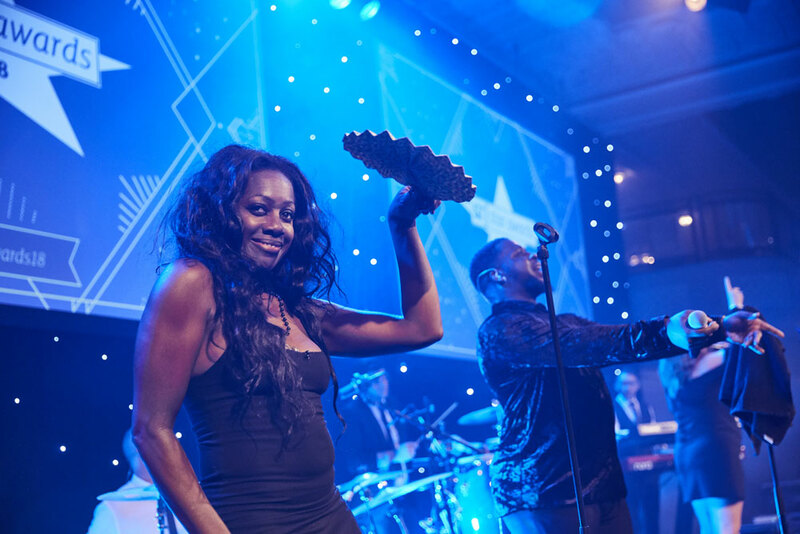 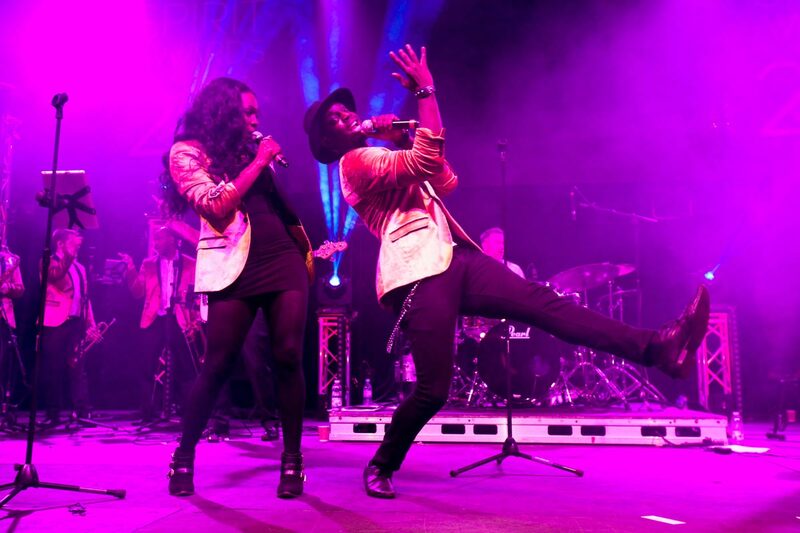 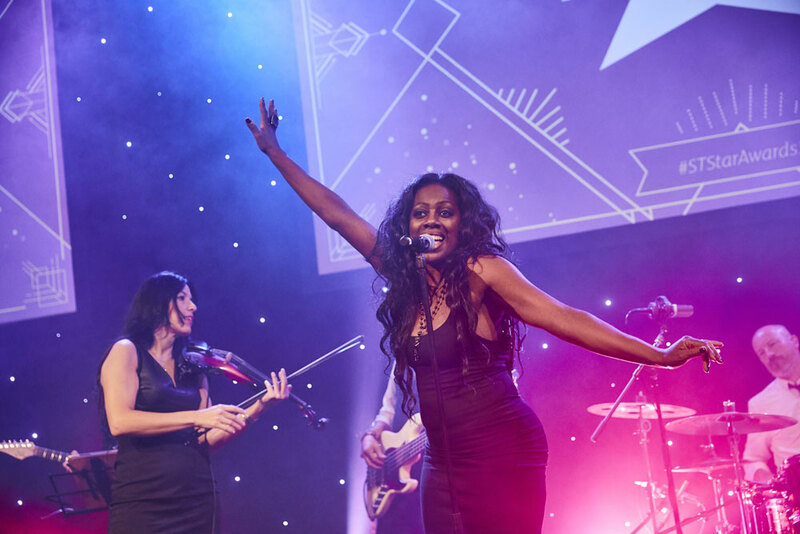 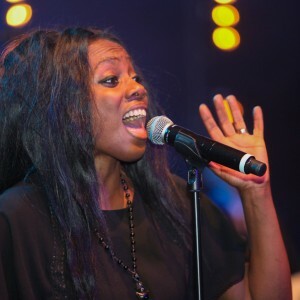 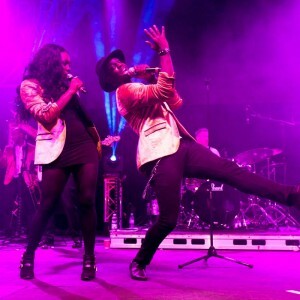 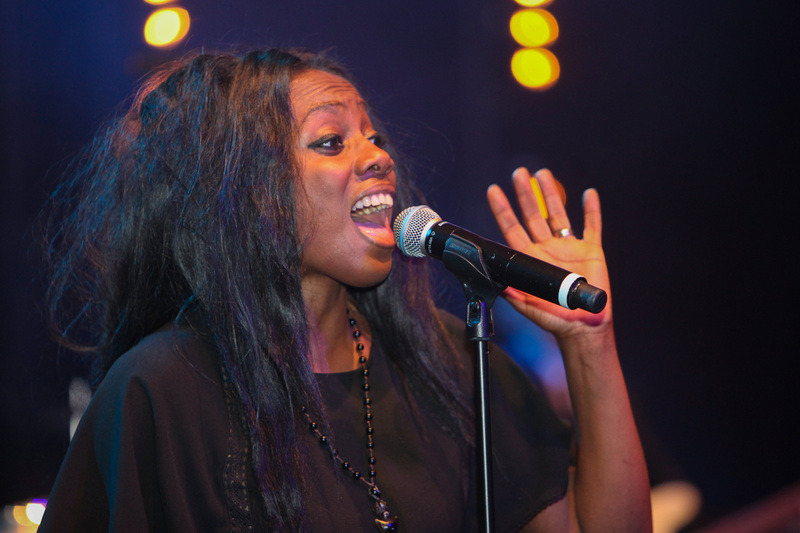 She has been with Sway since the very early days but has continued to work in the mainstream music industry touring with the Stereo MCs, The Lighthouse Family and Will Young. 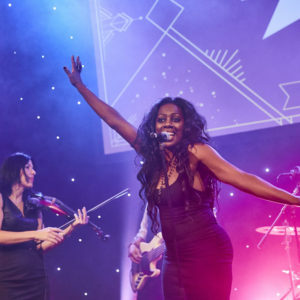 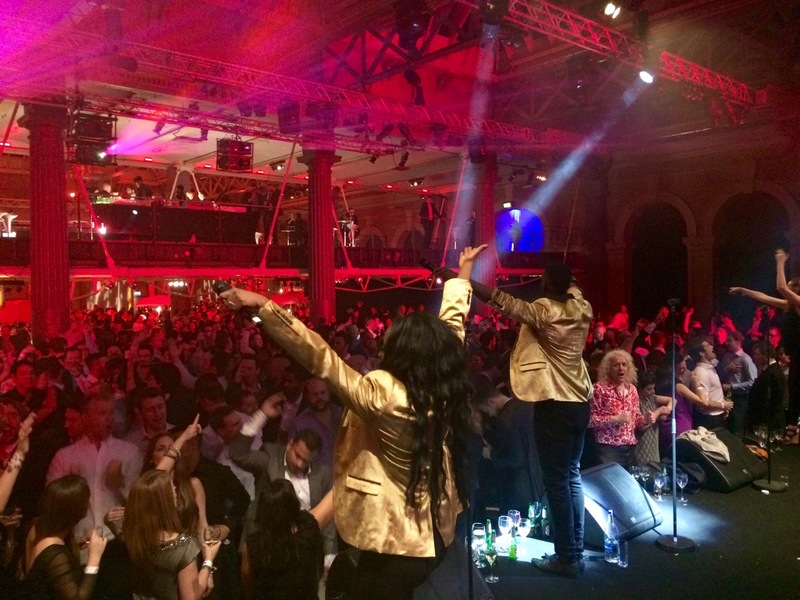 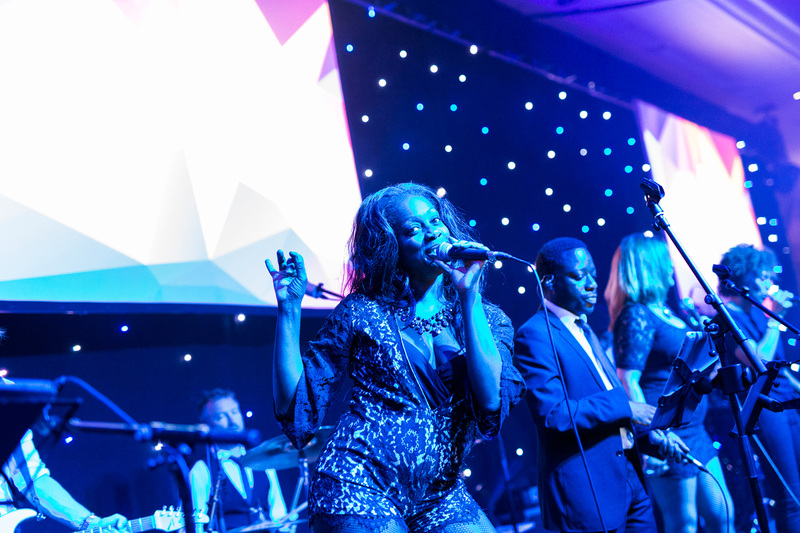 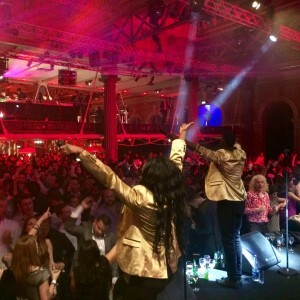 Having been privileged to be a part of the house band for the Queen’s Golden Jubilee celebrations in 2012, with Robbie Williams and Gary Barlow, Angela has really enjoyed a varied, exciting and colourful career. 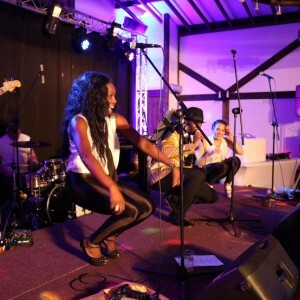 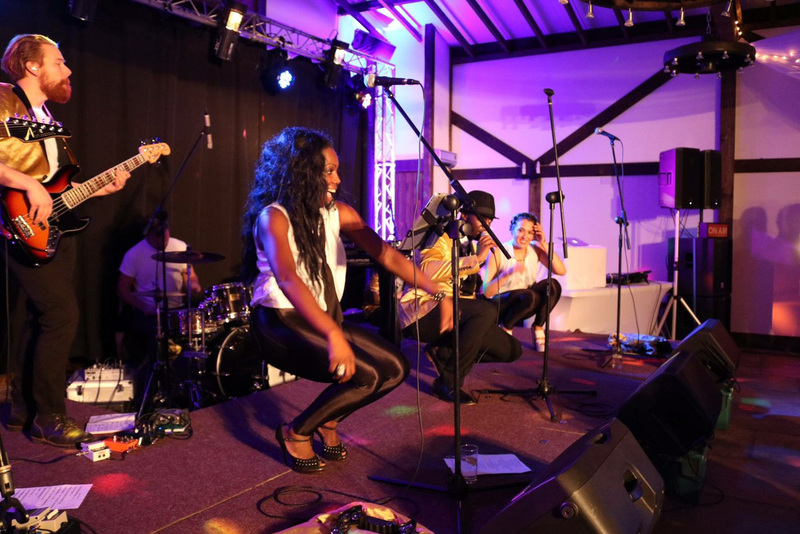 We love Angela because she knows how to work an audience and you’re always guaranteed a party when she’s on the stage.